This photo of unknown origin shows what appears to be a breakfast buffet table. There's a honeycomb frame offering the freshest possible honey to diners! I don't know where this one is, but various redditors report having seen set ups like this at high-end hotels around the world. 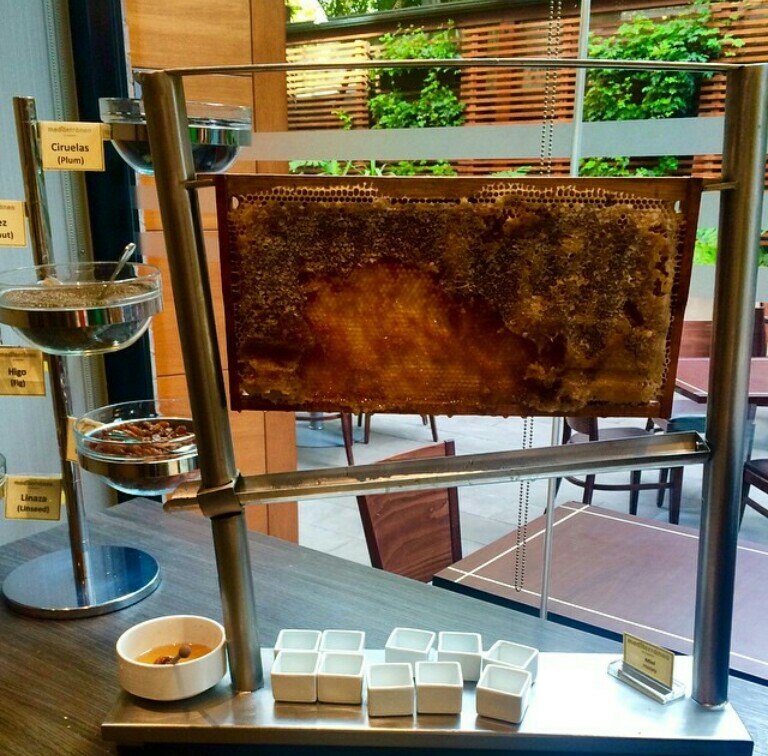 "This Breakfast Buffet Has Fresh Honey from a Beehive Frame"